Living Generously: Defense Matthew 6:24 "No one can serve two masters. Either he will hate the one and love the other, or he will be devoted to the one and despise the other. You cannot serve both God and Money.” Mathew 6:24 1. Living Generously includes our money We’ve all heard the expression “Money Talks.” The Bible clearly teaches that money has a voice. 3 Your gold and silver are corroded. Their corrosion will testify against you and eat your flesh like fire. You have hoarded wealth in the last days. (James 5:3) Money can cry out against us, testify against us. Frank saw this clearly in his dream. But there is another way that money talks. Frank’s money kept repeating something that sounds good to us – and is a dangerous lie. “Frank is the boss.” How often are we seduced by the soothing voice of money with its artificial empowerment? “I’m the boss”, we think. It’s my money and I will decide what to do with it. We seek financial advice from many sources but rarely from God. Many of us look on and think, “I seek God all the time about money.” But “God give me more money!” doesn’t count. This comes back to a proper perspective. Where does our income flow from? God gives to us that we may meet our basic needs and bless others. Living generously acknowledges that how we use the money God has given to us matters to God. 2. Living Generously requires good management 23 O king, Araunah gives all this to the king." Araunah also said to him, "May the LORD your God accept you." 24 But the king replied to Araunah, "No, I insist on paying you for it. I will not sacrifice to the LORD my God burnt offerings that cost me nothing." So David bought the threshing floor and the oxen and paid fifty shekels of silver for them. (2 Samuel 24:18-24) When the Holy Spirit begins to convict us of a lack of generosity, our first defense is to point to our giving just as Frank did. We would all agree that you can’t show up to church once a week, sing the songs, and say “Amen”, but then live the rest of the week as if we didn’t know who God was. But so many of us do that in our finances every day! We give our offerings, or even our tithe, and then use the rest as if we didn’t know who God was. We are on this journey of generous living. We need a life change; a heart change. The point here is not to live a poverty gospel or to villainize the wealthy. It is not about how much you have, but it is about how we respond to God with what we do have. If we can grasp this one principle, that God owns it all, we will take an enormous step on this journey. 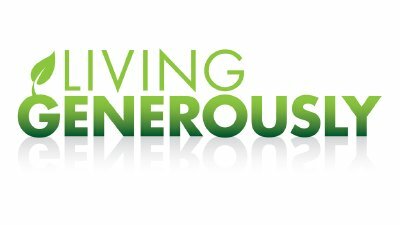 Living generously is about godly money management of all we have, not just the 10% tithe that God commands. 3. Living Generously chooses the right master Mismanagement of the financial resources that God gives to us is idolatry. "No one can serve two masters. Either he will hate the one and love the other, or he will be devoted to the one and despise the other. You cannot serve both God and Money.” Mathew 6:24. Christ is clear: there is room for only one master of our life. The issue for Frank is not his money, but his heart. Frank is guilty of idolatry. Generosity is not on a list of rules handed down from on high, and it isn’t just a financial principle. It is a response to the love of God. When our hearts are aligned with the Father’s, we respond by loving others, and living generous lives. Our money is the most obvious indicator of our hearts in this area. It has been said time and time again – if you want to see someone’s priorities, look at how they spend their money. Take time this week to bring these areas before the Lord and allow the Holy Spirit to speak to you of areas that need to be realigned with God’s will. Frank had a literal wake up call. I pray that we would have one too. This week spend time asking God what your money would testify about you. Are you serving two masters? Pray that God would help you rid yourself of this idolatry. Living Generously: Tower 2 Corinthians 8:1-7 1. Living Generously is a matter of trust; 8:1-2.  1 And now, brothers, we want you to know about the grace that God has given the Macedonian churches. 2 Out of the most severe trial, their overflowing joy and their extreme poverty welled up in rich generosity. Paul begins with the past experiences of the Macedonians. Their poverty and joy combined to produce such a wealth of generosity. Their generosity is evidence that they passed the test brought on by their afflictions. Such joyous giving in the midst of adversity confirms that their faith was real. We strive for protection - for that manmade hedge around our family. But what does it bring? Stress. God does not bring stress – there may be pressure in life, there may be trials, but stress? Peace I leave with you; my peace I give you. I do not give to you as the world gives. Do not let your hearts be troubled and do not be afraid. (John 14:27) He gives us peace – not as the world gives. When we lack that peace, it is time to make sure what you’re doing is in line with what God is wanting to do. 2. Living Generously tears down imaginary walls to giving; 8:3-5. 3 For I testify that they gave as much as they were able, and even beyond their ability. Entirely on their own, 4 they urgently pleaded with us for the privilege of sharing in this service to the saints. 5 And they did not do as we expected, but they gave themselves first to the Lord and then to us in keeping with God's will. They tore down the walls that said they were too small, weak, or poor. Their giving exceeded their ability, and was done entirely on their own as they trusted God. They were pleading to be involved in the collections. Not only did they participate in the collection, but also gave themselves to God and to Paul in accordance with God’s will. The greatest expression of God’s grace is its response to God and His cause. They not only gave their money but their lives to God. 10 The name of the LORD is a strong tower; the righteous run to it and are safe. 11 The wealth of the rich is their fortified city; they imagine it an unscalable wall. (Prov. 18:10-11) We may think, “I want to be generous with my hands, feet, time, money, ears, and service, but I just can’t right now. I have things that tie me down: job, kids, grandkids, extended family, hobbies, houses, pets, yards, etc.” We’re tied down with ropes of gold. We are enclosed within beautiful walls. If Jesus sets you free you are free indeed. It’s time to say enough is enough, and tear down the imaginary walls that hinder our generous living. I choose to die to self and be free to be generous. 3. Living Generously is an act of grace on our part; 8:6-7. 6 So we urged Titus, since he had earlier made a beginning, to bring also to completion this act of grace on your part. 7 But just as you excel in everything-- in faith, in speech, in knowledge, in complete earnestness and in your love for us-- see that you also excel in this grace of giving. The grace of God received by the Macedonians was their ability to well up with a wealth of generosity toward others in the midst of their own afflictions. Only the grace of God can account for such generosity out of the extreme poverty and yet overflowing joy. Joyful giving and joy in the midst of our own poverty and suffering is the sign of having received God’s grace. Now before you think that this is only a hard lesson to learn for the wealthy, consider the story Re told about his own journey. We touched on it earlier. Re saw those around him that had financial wealth and began to hate them. We all face trouble in this life. We are tested and sometimes feel overwhelmed. We can call upon the name of the Lord, the strong tower. For those of us who are believers: what does running to the strong tower look like? Run to Christ, run to His WORD, and run to His people that we may lift one another up in prayer. Spend time this week asking God to reveal your imaginary walls. Seek His help in dismantling them and running to the strong tower. There is a lost world dying and spending an eternity in a real physical Hell and we’re too tied down by our golden ropes and by our imaginary wall to be generous, to act in grace. Living Generously: Poor 2 Corinthians 9:12-14 1. Living generously is a heart matter; 9:12. 12 This service that you perform is not only supplying the needs of God's people but is also overflowing in many expressions of thanks to God. The Lord enriches us as his people with ability for great generosity. Our generosity will also bring about a harvest of thanksgiving to God, which will ultimately enable the Corinthians and us to glorify God. 8 I am not commanding you, but I want to test the sincerity of your love by comparing it with the earnestness of others. 9 For you know the grace of our Lord Jesus Christ, that though he was rich, yet for your sakes he became poor, so that you through his poverty might become rich. (2 Corinthians 8:8-9) 2. Living generously means seeing people and their needs; 9:13. 13 Because of the service by which you have proved yourselves, men will praise God for the obedience that accompanies your confession of the gospel of Christ, and for your generosity in sharing with them and with everyone else. So how do we break through? How do we engage with the pain and the poverty when all we see is a vast, faceless need? We start seeing with the eyes of God. As Jesus was on his way, the crowds almost crushed him. 43 And a woman was there who had been subject to bleeding for twelve years, but no one could heal her. 44 She came up behind him and touched the edge of his cloak, and immediately her bleeding stopped. 45 "Who touched me?" Jesus asked. When they all denied it, Peter said, "Master, the people are crowding and pressing against you." 46 But Jesus said, "Someone touched me; I know that power has gone out from me." 47 Then the woman, seeing that she could not go unnoticed, came trembling and fell at his feet. In the presence of all the people, she told why she had touched him and how she had been instantly healed. 48 Then he said to her, "Daughter, your faith has healed you. Go in peace." (Luke 8:47-48) Why does Jesus call attention to what she has done? Has she not suffered enough public embarrassment? Could he not let her go in peace with a silent wink? The public embarrassment caused by singling her out signifies his individual care for her. He will not allow her to slip away and remain anonymous. He forces the issue so that when she leaves healed, she will leave knowing that the one who healed her knows her and cares for her. She is a person who is worth taking time with and addressing. Isolation is no longer defined by how far we are from another person geographically but by the feelings of no one cares. 3. Living generously causes us to be more like Jesus; 9:14 14 And in their prayers for you their hearts will go out to you, because of the surpassing grace God has given you. In living generous lives, we impact the lives of others, becoming the body of Christ at work in the world. 5 Your attitude should be the same as that of Christ Jesus: 6 Who, being in very nature God, did not consider equality with God something to be grasped, 7 but made himself nothing, taking the very nature of a servant, being made in human likeness. 8 And being found in appearance as a man, he humbled himself and became obedient to death-- even death on a cross! (Philippians 2:5-8) Christ emptied himself – ladled himself out for us. He literally died for us. Our job is to die to self daily, humbling ourselves like Frank learned and serve one another. So, where are you? Take some time this week to “compare yourself with the earnestness of others.” Don’t think that you are on this journey alone. You affect others’ journeys, just as their journeys affect yours. The outflowing of gospel living is in our service. Just as Christ emptied himself, we are called to become poor that others may become rich. Where is God asking me to roll up my sleeves and grab a ladle? Go do it.